I was an editor at Vanity Fair magazine for three years in New York, and at Esquire magazine in London before that. 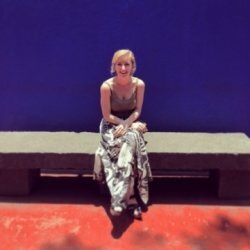 I'm currently Senior Editor for an innovative digital fiction journal based in Brooklyn and I am pursuing a master's at NUI Galway as I work on my first novel. (The digital journal allows me work remote.) I graduated from the University of North Carolina with two BAs, one in English and Literature, and one in Journalism and Mass Communications. My writing has been published in The Guardian, Vanity Fair, Esquire, The Paris Review, Catapult, Electric Literature, and elsewhere in print and online. I attended St. Gerards School in Bray, Co. Wicklow for secondary school. As an undergraduate in the U.S… I gave private tutoring to high school students. While I am not a career educator, my work as an editor is about working with writers to construct powerful narratives, and elevate their skills to the highest possible level. Writers I have worked with in Ireland include William Wall, John Holten, Lia Mills, and Claire Louise-Bennet. In the U.S… I have edited Yiyun Li, Lauren Groff, Tea Obreht, and many others. I approach grinds as discursive experiences. I like to talk with my students about what they are reading as well as what they are writing. I find that when they begin to talk about something they enjoy, it allows them to begin seeing how prose functions. If they're not big readers, I find that getting them to tell me about their favorite movies and occasionally TV shows can begin a conversation through which we can illuminate how narrative works. Moving onto the practice of writing, I usually begin with the fundamentals of grammar and syntax, and when I have a better idea of the student's ability (or as we work through those skills to bring them to the necessary level), the fun part begins: teasing out ideas, discovering how to present them in compelling and illustrative ways. No matter the genre, three aspects are always fundamental to good writing: the ability to build a narrative arc, to write succinctly and clearly, and to revise carefully.